The effectiveness of email marketing is unquestionable. According to the report published by ExactTarget (now Salesforce Marketing Cloud), email is the most preferred marketing platform for 77% consumers over any other online marketing communication channel. But like everything else, along with all beneficiary factors, email marketing also comes with some of its drawbacks (Also read: 5 Stage Checklist for a Flawless Email Marketing Campaign). If marketing emails fail to grab the attention of subscribers (which is not a rare case in email marketing), those email users do not even bother to click on that email, rather they just delete the email before even opening it. Now from a marketer’s perspective, what do you think should be done? One cannot just ignore losing their targeted customers. In order to build the connection again, the marketer definitely has to resend those marketing email(s) to their prospects. But how? What will be the right strategy to apply or the right way of recreating a marketing email that the subscribers cannot resist themselves from opening? How can the marketer make this email campaigns better than the previous one? Let’s find out! This will help you to take a closer look at your previous campaign procedure thoroughly and analyze each responsible factors lying underneath. If a subscriber is constantly avoiding opening your emails, you better ask them for the reason rather than sending more email over and over. Are you 100% confident about the authenticity of the database you used for your last email campaigns? In order to make sure that your marketing emails are reaching the right inboxes, you must use properly segmented email list as your marketing tool. While building an email list, it is extremely necessary to segment the email database as per demography, specified industry, job function and purchasing behavior of your prospects. Properly segmented email database will help you to identify the right niche market as per an in-depth analysis of their buyers’ persona. Therefore, you will be able to understand what are the exact needs and expectations of your targeted customers and next time you will design and deliver your marketing emails accordingly. While resending marketing emails, it is definitely not a good idea to send every email just to make your email campaign a failure again and make your target audience even more irritated from your action. Then what is the way out? In such cases, marketers should sort out the most important emails first and then send those emails to segmented email addresses. There is another thing, in order to get a better response, it is necessary for you to understand the buyers’ persona of your prospects. Only then you can either give priority to those emails which are according to the demands of your targeted customers or reformat previous emails accordingly and then send. Improper and unattractive subject line is the most common villain for low open-rate in email marketing. Your subscribers are getting hundreds or sometimes even more than hundred marketing emails everyday from various sources. If your email also looks like just another business email then it is quite natural that they will simply not bother to click. The reason is very simple in such scenario- subscribers know what’s inside the mail, they know that the mail is coming from a business company which is actually trying to sell their products or services. And frankly, no one actually wants to be sold. If you want your recipients to click your emails, be careful while giving the subject line. Write your subject line in a manner that you have a different story to tell and your mail is not just a mere attempt to sell your product. While resending your marketing email, you can make it look like a gentle reminder or just tweak the previous subject lines to give it a new shape. Take a note if there is any time-dependent open rate for the specific industry you are targeting. In order to find that out, again in-depth market research is necessary before starting with your campaigns. 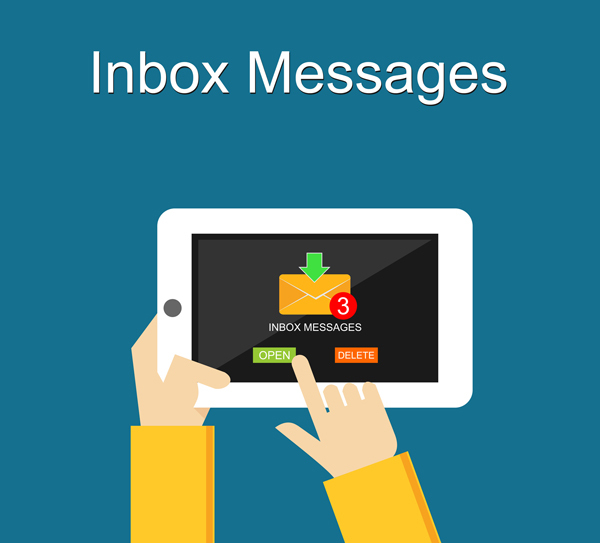 There are cases when early in the morning might work well for email marketing campaigns. On the other hand, there are various other industries where a weekend campaign might get double open-rate than usual weekdays. At the end of the day, the open rate of your marketing email actually signifies the ultimate success or failure of your business campaign. A low open rate means that your email campaign has failed to perform well in the market and could not deliver your marketing message to your targeted customers. If done properly, your re-sent emails can actually knock those doors of your target audience which were completely closed earlier. At Email Data Group, we have an expert team of data marketing professionals that can help you to reach the maximum number of your targeted customers with cost-effective marketing services and segmented email list databases. Trust our products and services to acquire maximum response through target based email marketing campaigns. This entry was posted in Email Lists, Email Marketing and tagged email campaigns, email data group, email list, email marketing lists. Bookmark the permalink.